What does the word classic mean to you? One dictionary defines it as “serving as the established model or standard”, while another suggests that it’s “simple and harmonious; elegant”. We think that describes the camel coat perfectly; its appeal is timeless. 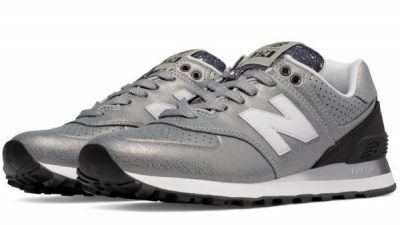 Its latest reincarnation began in 2010, when it filled the pages of print publications and online blogs alike, and was worn by everyone from trendsetters to followers. It featured in work by fashion photographers like Scott Schuman and Tommy Ton, and on the catwalks of that year. 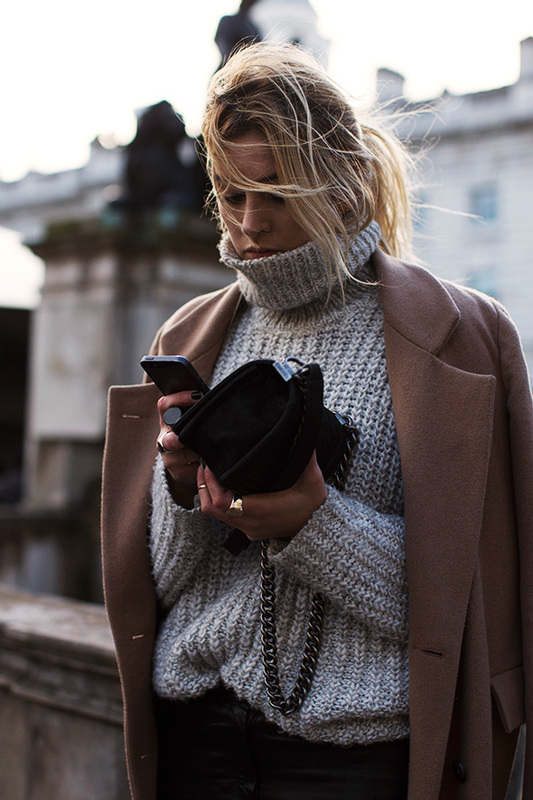 Vogue urged: “If you buy only one coat this season, make it camel”, and: “Invest now, you’ll wear it forever”. It seems as if the writer had also researched the definition of classic! Unlike the fast demise of some other must-haves, this one has lasted. Of course, it has never really left us, so scouring vintage shops and fairs could be very rewarding. This time around, though, it has been patronised by the likes of Kim Kardashian and Carine Rotfield, former editor-in-chief of Vogue Paris, both wearing Max Mara, while New York stylist and designer Natasha Goldenberg threw her oversized garment over brightly striped Carven trousers. As Goldenberg demonstrated with effortless flair, the camel coat continues to make a statement in all its manifestations, whether it’s with the addition of those blocks of colour, or with leather, denim, or more formal attire. Whoever you are, or whatever you are (even if you’re a bit of a chameleon), there’s a way for you to wear camel. Try classic styling with cuffs, a deep collar, roomy pockets and faux horn buttons. Team with a lightweight sweater and tailored trousers, and add a simple gold necklace for class. Switch to a linen version in mild weather, and for evenings, wear it over deeper colours. If, however, you’re keener to re-invent camel for today, add vibrancy with bright red, or contrast with dark brown. A striped top, in whichever shades take your fancy, will do the trick, too. White will give depth to the muted shades of camel – how about a shiny white handbag? Black patent would have a similar effect. For style alternatives, choose a belted three-quarter length option, with brown buckle and buttons, or go for one with a fake fur collar. Let’s turn to that dictionary one more time. “Formal, refined and restrained in style” fits well, but we prefer “having lasting significance or worth; enduring”. That just about sums up the camel coat, a true classic. 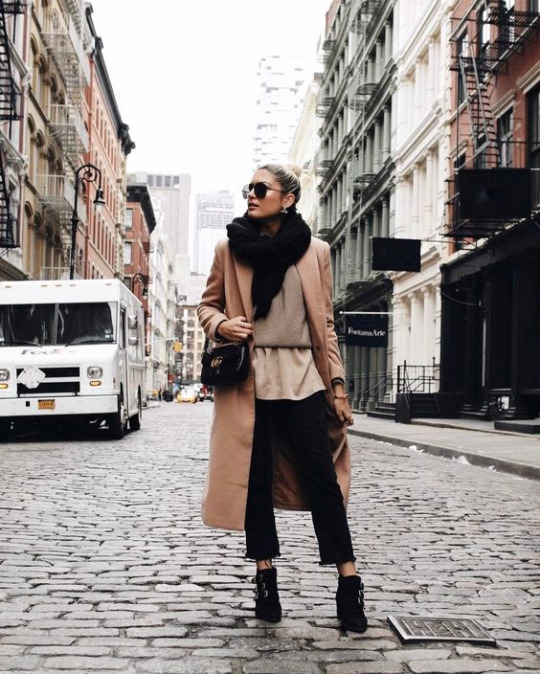 Emily Luciano wears a camel coat with layered tops of beige tones, and cropped black cigarette trousers. She finishes the look with a chunky oversized scarf and punk-esque black heeled boots. Coat: Forever 21, Top: Vince, Trousers: Zara. Erica Hoida is totally glam in this gorgeous winter style, consisting of thigh high suede boots, a matching suede jacket with belt detailing, and a classic camel overcoat. Give this look a try and be sure to achieve immediate sophistication! Coat: Sezane, Suede Jacket: AllSaints Sweater: Faith Connection, Boots: Stuart Weitzman, Bag: Chloe. 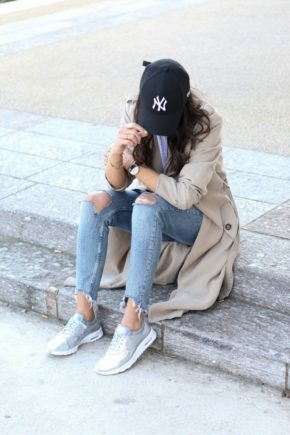 You absolutely must have a camel coat this season! Karolina shows the timeless elegance of this piece, wearing it over a chic white blouse and a pair of black denim cut offs. Throw on a beanie to get that Christmas feel! Sasha Simon wears this gorgeous overcoat style camel coat with distressed black skinny jeans, a knitted polo neck sweater, and a pair of statement heels to inject some colour into the outfit. Barbora Ondrackova rocks a classic everyday look here in a pair of leather leggings and an oversized camel coat. This contrast of the tight fitting leather and the deliberately structured coat makes for a cool, androgynous style which we love! Coat: Topshop, Top: Proenza Schouler, Leggings: Balenciaga. Kat Tanita is sleek and sophisticated in this gorgeous classic camel coat, worn with black jeans and over the knee suede boots for a chic everyday style. 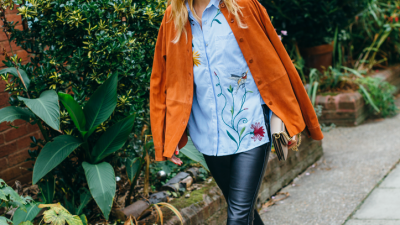 Wear this look with a leather bag and shades to complete the outfit! 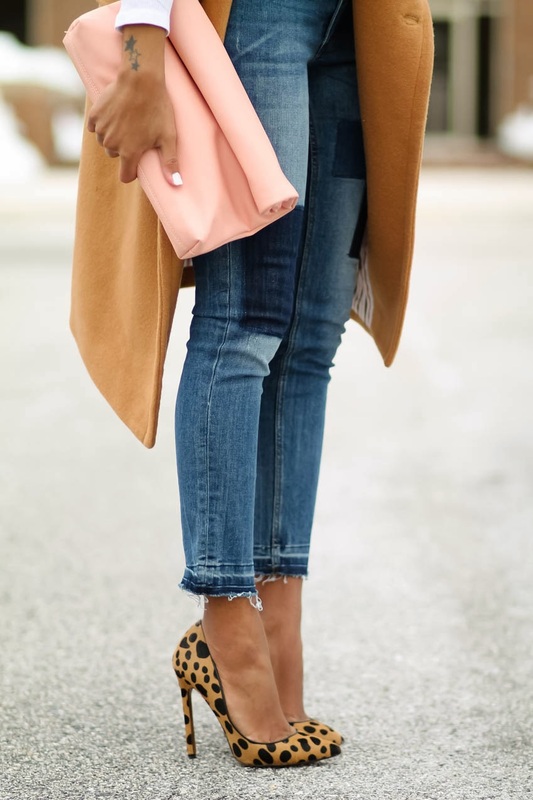 Coat: Tempo, Sweater: Vince, Jeans: Paige, Boots: Stuart Weitzman, Bag: Proenza Schouler. 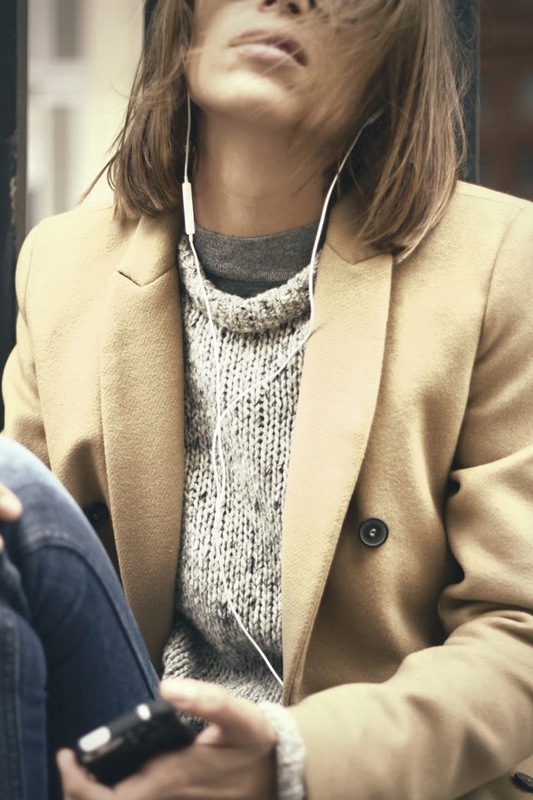 Camel coats are an absolute must have this fall! 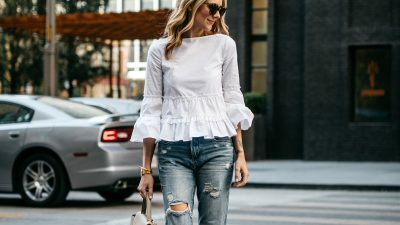 Zoé Alalouch is wearing this gorgeous Sezane piece over a knitted sweater, paired with distressed denim jeans and a pair of suede chelsea boots. 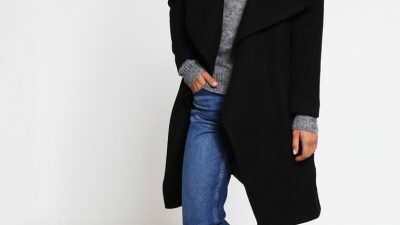 Coat: Sezane, Jumper/Jeans: Mango, Boots: Zara. 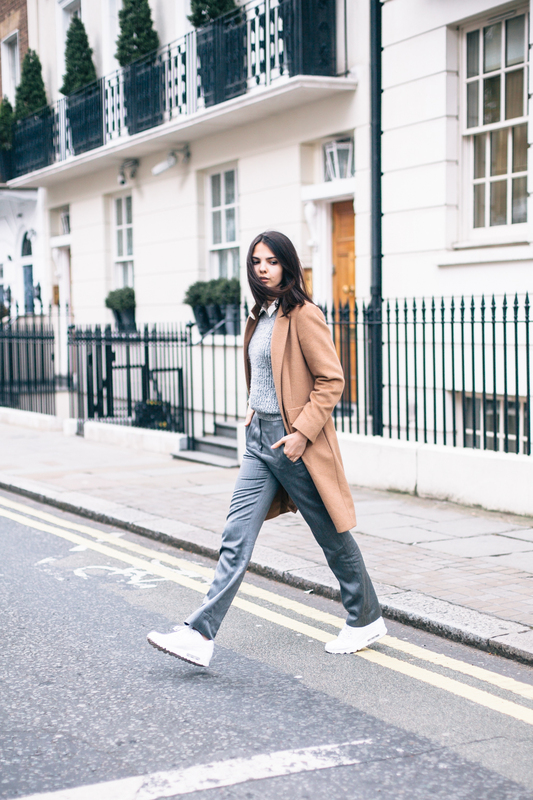 Beatrice Gutu looks ultra chic in this retro outfit consisting of a maxi camel coat, distressed high waisted jeans, and a pair of classic Adidas Stan Smith sneakers. Coat: Missguided, Turtleneck: Zara, Jeans: Asos, Sneakers: Adidas. Kayla Seah rocks this double breasted camel jacket.